Academy classes, workshops, and master classes offer students a learning experience that engages their imagination with the art making and innovation of theatre. Ages 5-18 get hands-on education, developing skills and knowledge across various departments from rehearsal and backstage, to acting and music. These environments provide a fascinating look at the process of producing theatrical performance. Click on the buttons below to find out more about upcoming opportunities. A performance-based course which engages participants in characterization, body expression, technique, and creative dramatizations utilizing the theatrical elements of acting, singing, and dancing. Synthesizes all Academy I skills allowing students to define and demonstrate acting techniques. Literary elements are incorporated for the exhibition of reactions to language and human relationships within an ensemble connecting sensory, emotional, and cognitive skills. Focuses on musical theatre elements. Students develop spatial body awareness, coordination, and motor skills through the physical expression of song, dance, and character for the stage. Beginning tap introduces basic steps including: shuffle, ball-change, step-heel, heel-step, single buffalo, and combinations of all. Incorporates theatre appreciation by aiding students in communicating ideas, concepts, and feelings while learning story structure and responding to an acting environment with their body. Improvisation is a focal technique. 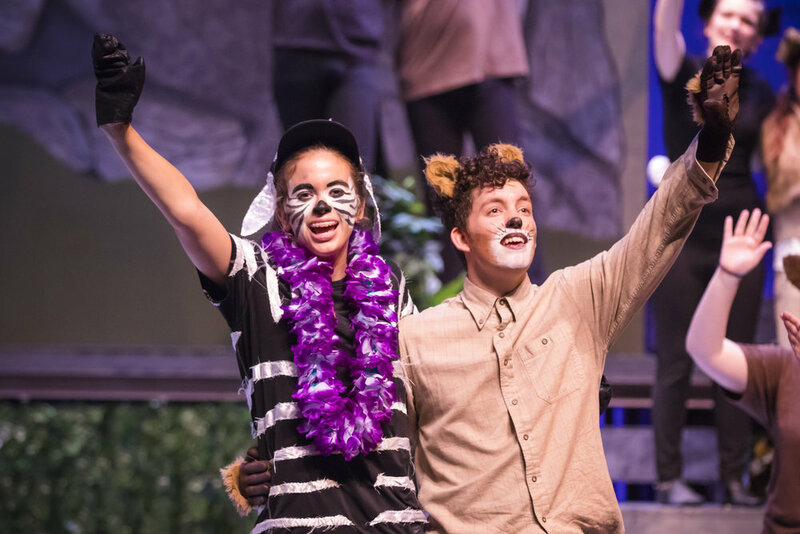 Synthesizes all Academy II skills allowing students to broaden respect for theatre as an art form while focusing on vocal inflection and articulation. Theatre appreciation developed. Hones imaginative command of space, gesture, and relationship dynamics to give expression to passions and characters by articulating body and voice. By observing and identifying with the natural environment as well as physical investigation of bodily movement, participants engage to explore elements of culture and theatrical experience. Level 304 synthesizes all Academy III skills allowing students to broaden respect and appreciation for theatre as an art form. Exploration of character analysis, acting theory, and script analysis couple with the techniques of vocal interpretation, projection, pronunciation, and articulation. TUITION PAYMENTS: All tuition payments are due IN FULL at the time of registration. If you would like more information about scholarship offerings please email performingartsacademy@adplayers.org. CANCELLATION POLICY: We understand that unexpected conflicts may arise and encourage you to communicate with Academy Staff as soon as they occur. In the event you must cancel your enrollment, you will be charged a $25 processing fee. We are unable to offer any refunds after the first two dates of any class/camp. In the case that a student must drop by the second class, a partial refund may be issued or credit given towards a future Academy class. All requests for cancellation must be made in writing up until the second session and submitted to Academy Finance Associate, Paige Thomas (paige@adplayers.org). An address of where to send payment reimbursement and a recipient name must be included in the formal request. Refunds will be issued within 21-30 days of the request.